The UJ440i is the world’s most advanced and productive tracked jaw crusher. This state of the art machine provides customers with intelligent and trouble free operation thanks to the on board integrated “intelligence” system. This system allows the crusher to be continuously and automatically monitored by the control system that operates the unit in order to fully optimize the production. Married to a fully tracked chassis the UJ440i brings profitable jaw crushing to a new dimension. The key to the success of the UJ440i is that production is maximised due to the class leading feed opening, coupled with a hydraulic close side setting that enables rapid changes through push button operation, further enhanced by integral intelligent operation. Process control and tracking are by radio remote that enables operation by one person. 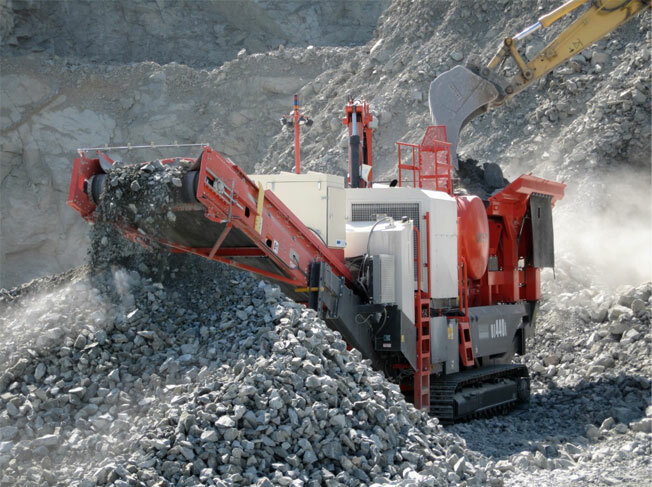 The HD crusher is capable of handling any type of hard rock, in any climate, up to the most extreme weather conditions with an optional engine pre-heater. Quick set-up and downtime, together with site to site transportability, are integral design features that ensure the unit is able to rapidly process materials in any location. Both crusher and unit are manufactured to the highest quality, utilising Sandvik components. This means that the number of spare and wear parts that need to be stocked is minimised due to the inherent consistency of manufacture. Trouble free and safe operation is ensured due to automatic and continuous monitoring of the production process by the in-built intelligence control system. Power and economy are combined thanks to a modern, on board diesel engine with low fuel consumption and minimum transmission losses. Environmental friendly due to the direct drive to crusher together with the on board smart intelligence and emissions match EU and USA Tier III norms. To learn more about The UJ440i tracked jaw crusher go to the REQUEST MORE INFO button above or click on the DIRECT CONTACT button to reach Sandvik directly.